Offering you a complete choice of products which include fluconazole capsules, itraconazole capsules and antifungal drugs.  Route of administration: Oral use.  For maximum drug absorption itraconazole should be taken immediately following a meal. Capsules must be swallowed whole. Life-threatening adverse effects occurred when itraconazole was combined with (no longer available in the U.S.), pimozide, quinidine, dofetilide, or . Therefore, itraconazole should not be combined with these drugs. Itraconazole interacts with , tolbutamide, glyburide, glipizide, protease inhibitors (for example, indinavir, ritonavir , saquinavir ), , and HMG CoA-reductase inhibitors. 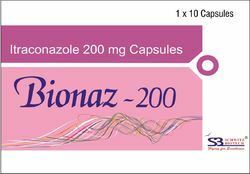 Itraconazole capsules are contraindicated in patients with known hypersensitivity to itraconazole or to any of the excipients and also during pregnancy and during breast feeding.  Itraconazole can cause congestive heart failure (condition in which the heart cannot pump enough blood through the body). Tell your doctor if you have or have ever had heart failure and also if there is any history of liver and kidney diseases. 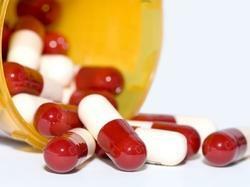 Itraconazole capsules may cause dizziness. This effect may be worse if you take it with alcohol or certain medicines. 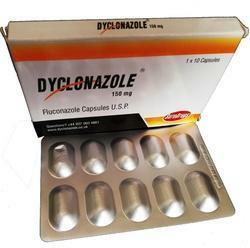 Itraconazole is used in treatment of infections due to most yeasts, as well as moulds. Its major advantages over fluconazole are its activity particularly against most Aspergillus isolates and a subset of fluconazole-resistant Candida strains. Thereby, Itraconazole is a more preferred medication for fungal infections.